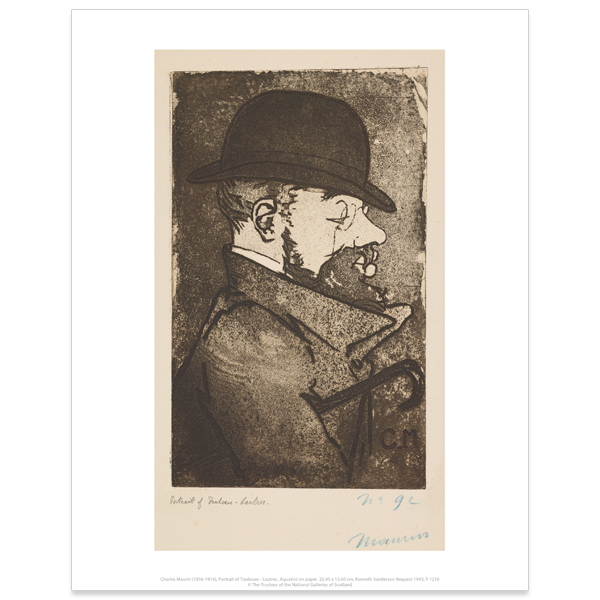 Reproduction of an aquatint portrait of Henri de Toulouse-Lautrec by Charles Maurin. Maurin was a contemporary and friend of Toulouse-Lautrec. Together they visited the cafes and caberets of Montmartre during the 1890s. In 1893 they shared an exhibition at the Boussod & Valadon gallery. Maurin was a painter and draughtsman but is best known today for his prints. Reproduction of an aquatint portrait of Henri de Toulouse-Lautrec by Charles Maurin, on a handy tote bag.